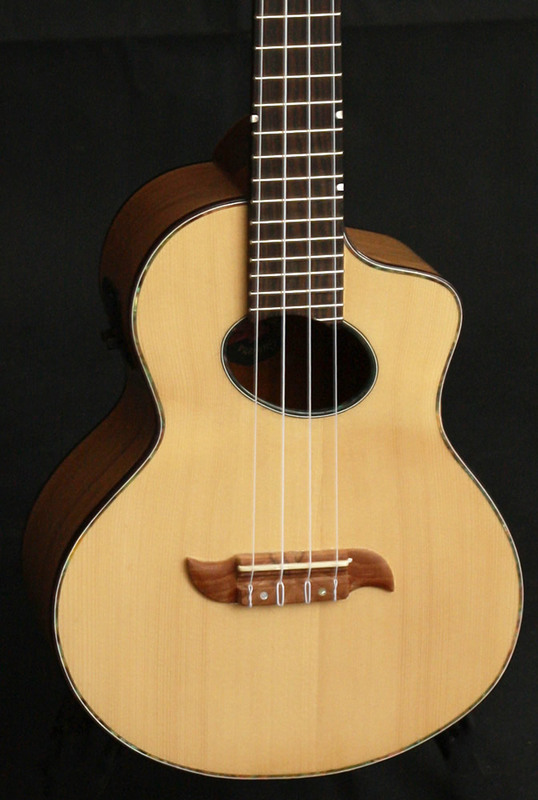 The Brief: Ground up signature model electro-acoustic tenor ukulele for classically trained and jazz inspired Uwe Eschner. 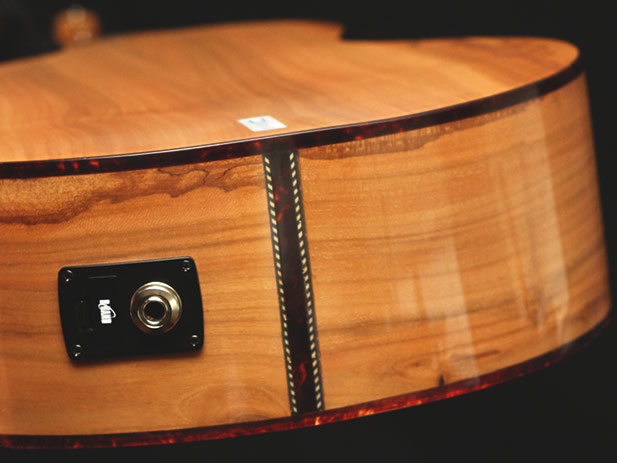 We were tasked with developing a subtle and full sounding tenor model based on our core specification, both acoustically, DI or via a sound system. 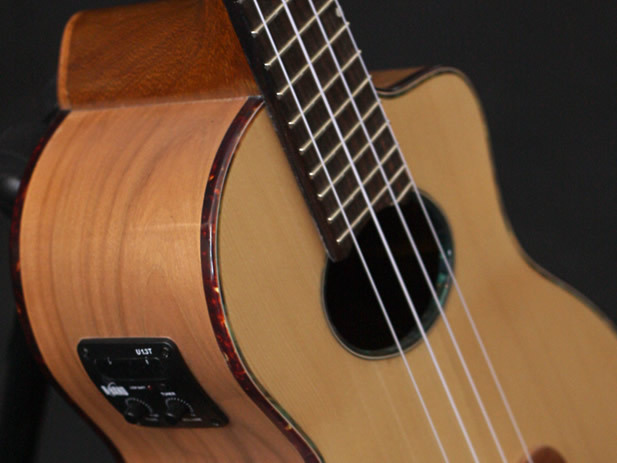 The model required great access all the way up the frets, excellent clarity and output especially in a PA situation all with the balance and visuals that are a hallmark of our instruments. 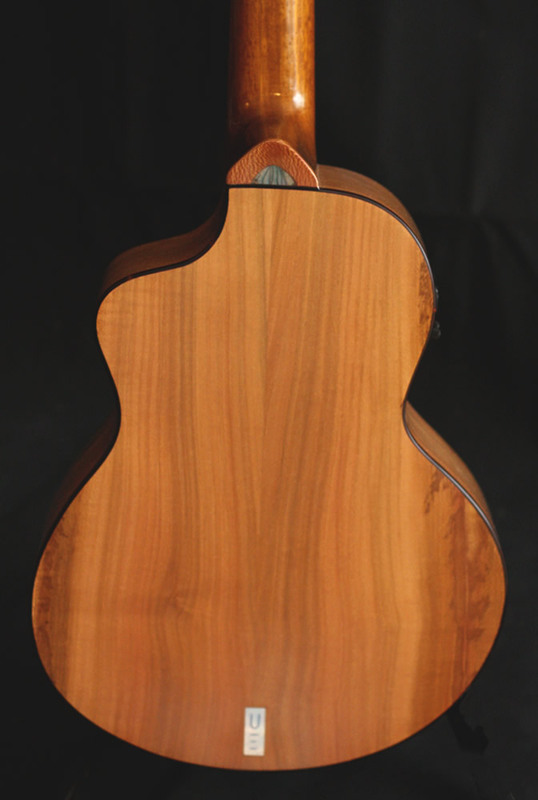 Specially selected tone woods were our starting point, rich full sounds and after- tones were built in with a fine AAA grade Spruce top. 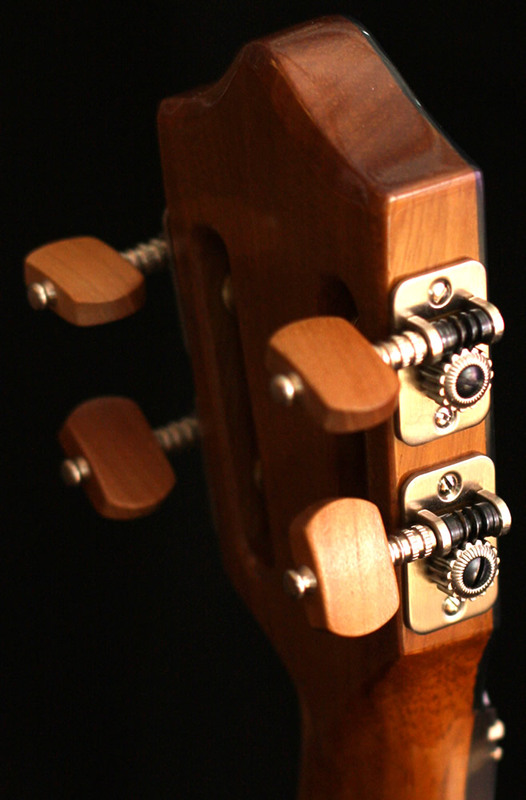 Improved visuals were applied via the asymmetric and wide sound hole and a nod to classical roots by use of a slot head 2-aside headstock. 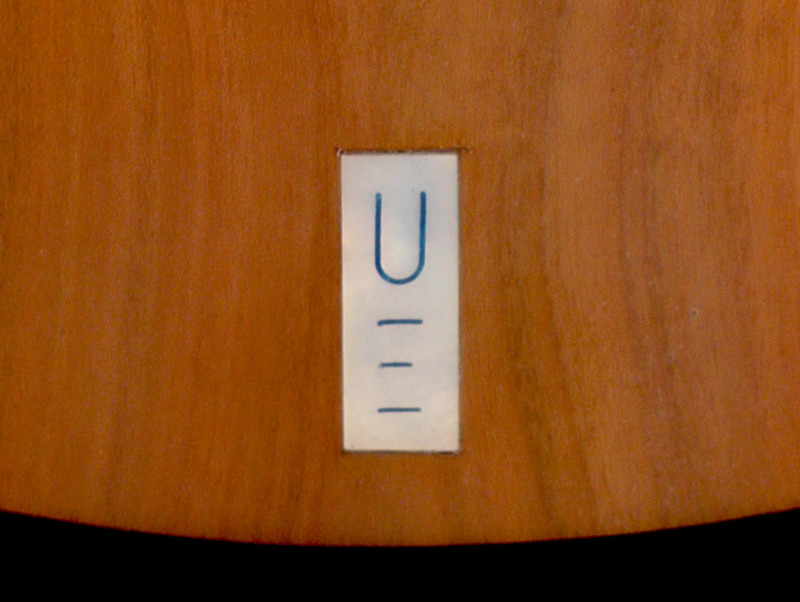 Sympathetic binding, dot markers and inlays were all stripped back to be in visual harmony with the selected timbers. Live action was handled via the dedicated B-Band U 1.5T, simple but great and controllable tone with B-Bands usual quality of reproduction either on stage or in the studio.